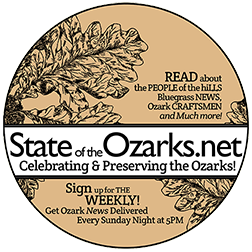 Winter can be a challenge in these Ozark hills. During the last week of January, the hills around here got all dressed for the occasion. Blanketed in sleet, snow and freezing rain, the Ozarks looked a bit like a waiting bride in a veil of ice. Beautiful to look at but mighty unhandy. Ice storms equal power outages. Like a lot of folks these days, we live in an all-electric home. No power means no heat, no water, and no means of cooking. During the last week of January, I determined that we might get cold but we weren’t going to get hungry. I hunted up some supplies: charcoal, wood, water, lighter fluid, matches. I also hunted up my Dutch ovens and got set for the storm. Outdoor cooking is a mighty handy thing to know. And the best way to cook outdoors isn’t with a fire and a grate. It’s with a fire and a Dutch oven. 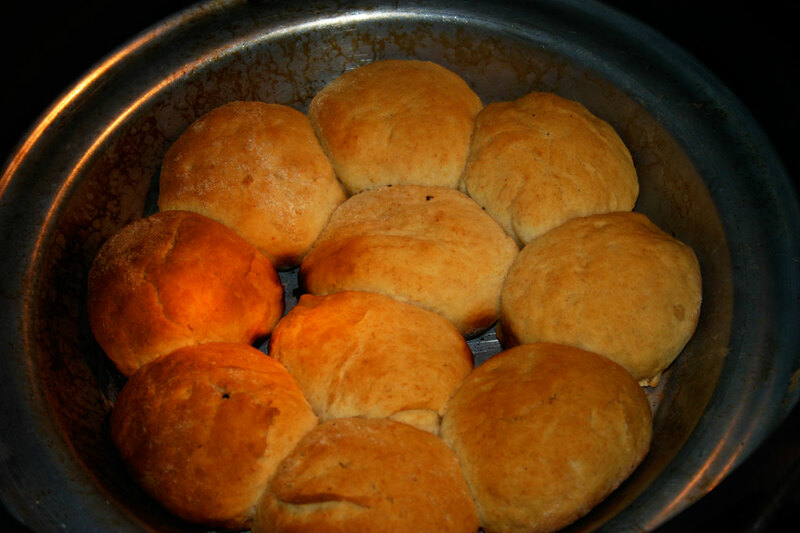 Dutch ovens are made of cast iron. They usually have lids. And there are two kinds: kettle ovens and baking ovens. Kettle ovens have no legs and can be suspended by a bail over the fire or set right on a grate. Kettle ovens are great for stews, soups and even pot roasts. Baking ovens also have legs and a bail for suspension over the fire. The main feature is a flat-lipped lid that holds hot coals. Baking ovens are my favorite and are used for baking pies and breads. Outdoor cooking is something I love to do. Just give me an open fire and my dutch ovens and I can whip up a meal to be proud of. Most people think cooking over a fire means burnt hot dogs and pork-and-beans in a can. Good Dutch oven cooking can mean a lot more than that. It’s one of the reasons I love to cook this way. 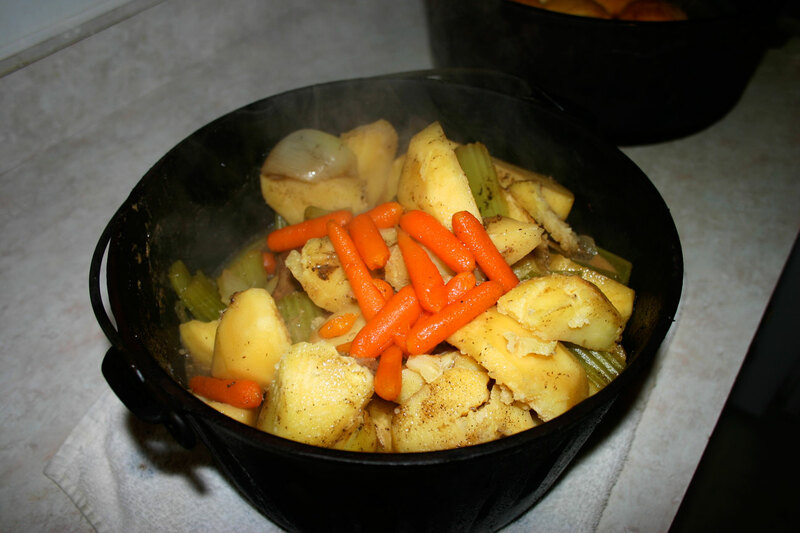 One of my favorite Dutch oven meals is pot roast with potatoes, carrots, onions and celery, hot bread, green beans and pie for dessert. It’s a lot better than burnt hot dogs. 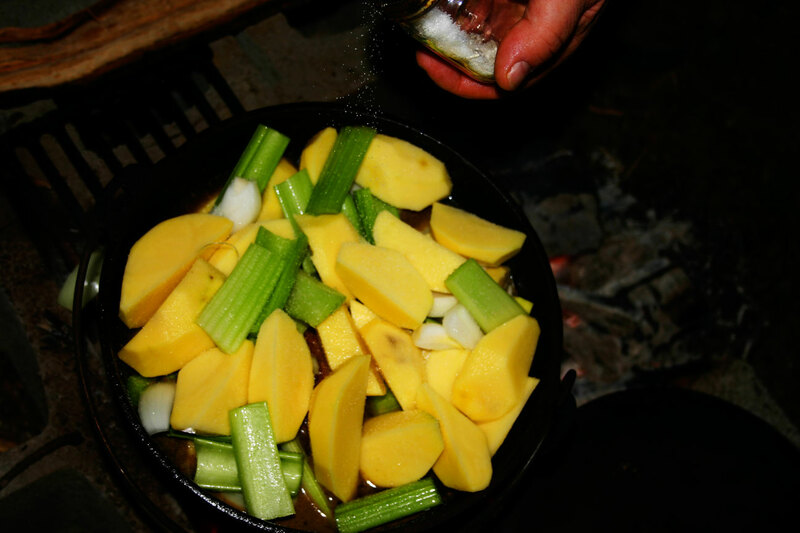 Cooking this way also reminds me of life before electricity and the folks who lived in these hills — without modern conveniences. It reminds me of the hard work it took to live here. 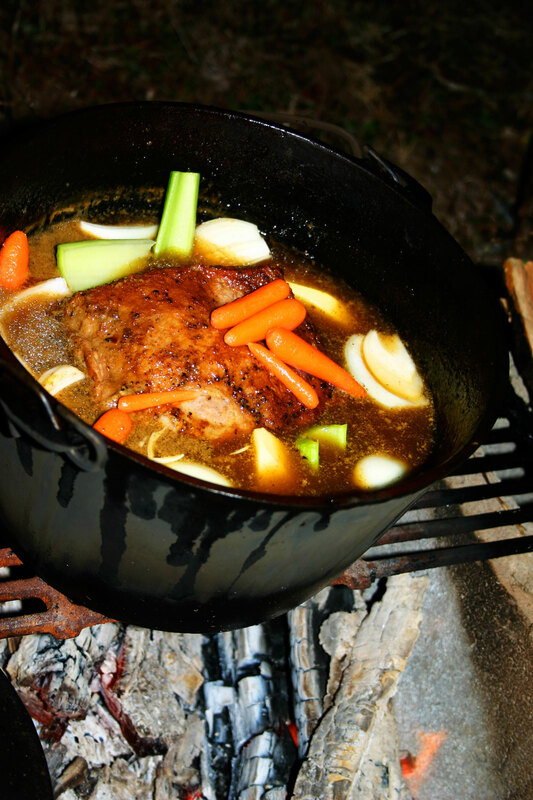 So, the next time winter weather heads your way — or you want to get back to the basics just a little bit — try out some Dutch oven cookin’. I think you’ll be happy you did. Rub roast with meat rub. Sear roast in olive oil, all sides. Add enough water to just cover and cook for an hour. Add to cooking roast: carrots, onions, celery, and potatoes. Add a little more water if necessary. Salt and pepper to taste. 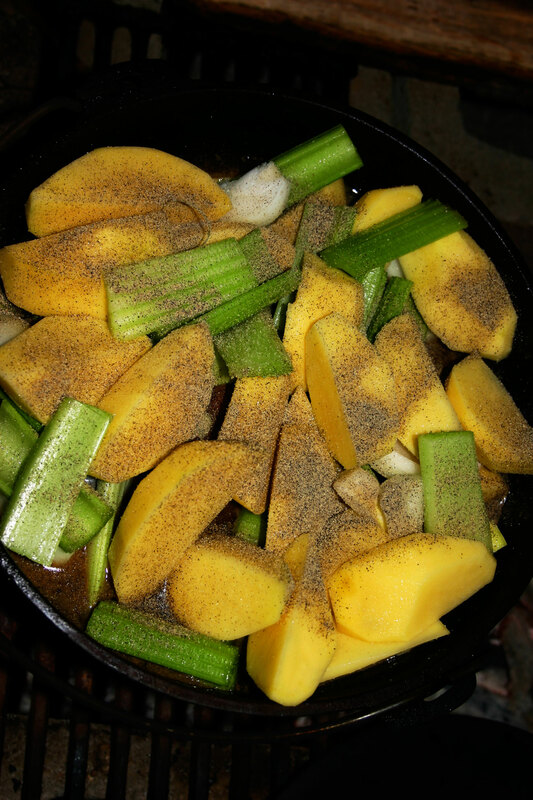 Cook until vegetables are tender.